Who Isn’t Refusing the PARCC? This image might look familiar to you. 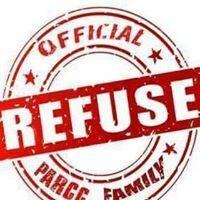 Many have been changing their profile picture to show solidarity in the grassroots movement to refuse the high stakes PARCC test. This simple act will empower many to have the courage to compose and submit their refusal letter, even if they feel like they are the only ones in their town. There is power in numbers . This is an easy way to visually show the number of supporters and to increase their reach and power. The refusal movement is growing and with the PARCC set to start tomorrow, the numbers will only rise. Though many of us have been working tirelessly to get the word out, many parents remain uninformed. Of course there are some who are informed and will choose not to refuse the test for their children.Perhaps they feel that the test is just another test. Or maybe they know their child will do well, and therefore it doesn’t bother them. Or even they may think the test is good practice for life. My goal is not to diminish their reasons, but to point out that their choice is an informed choice. What about the overwhelming number of parents out there who are just simply not informed or misinformed? Many school districts across the state have held information nights to present the parents with all of the wonderful benefits of the revolutionary PARCC test. If a parent does not have an education background and has faith in their schools, it would be easy after sitting through such a presentation to feel good about this new test. Who wouldn’t want a test that can really help the teachers and parents understand the needs of their children and get every child to be career and college read? Sounds great! And what’s more modern than a Chromebook? Technology is the way of the future, so why not prepare students for the future? But let’s face it, the PARCC test, or any test standardized or not, does not have the power to do what supporters claim it can do. Tests don’t level playing fields. Tests don’t make anyone ready for any career or college. Tests don’t tell parents or teachers what a child needs or doesn’t need. To achieve those goals you need human interaction by way of teaching, listening, conversing, and working. reduced the amount of time and resources spent on science and social studies in the elementary school. strained local school budgets to allow for the purchase of technology (namely Chromebooks) and PARCC-related training. caused physical damage by requiring students as young as 8 years old to type and stare into computer screens for extended amounts of time. caused anxiety in students and teachers by placing increased stress on testing. caused schools to cancel meaningful and relevant assessments such as midterms and finals in high school and authentic assessments in lower grades. reduced the time teachers have to teach yet increased the amount and pace of learning. given many students an unwarranted feeling of failure. caused schools to cancel field trips. I could go on, but I won’t. Instead consider that if even half of this is true, then why aren’t droves of parents refusing? Well, if you set aside those who truly are informed and have decided to push ahead with the test, there are many others to consider. Let’s face it. The most parent participation in school happens at the kindergarten level. Then it slowly tapers off until junior year of high school when parents become worried about the college application process. Perhaps one problem this whole mess has revealed is that the days of just blindly trusting schools to do what is right for our children are over. We all need to be active, informed participants in our schools, even if that means giving up some of the time suckers that we all know and love (Netflix, stupid video games on our phones, Facebook, Pintrest, Instagram, etc.) Because a distracted populace is one that is easily manipulated. Secondly, consider the fact that the obsession with high stakes testing started way back in 2001 with the inception of No Child Left Behind (NCLB). The majority of schools escaped feeling any pressure because the threshold for achieving Adequate Yearly Progress (AYP) was so low. What this means is that if a school had a subgroup population such as special education or Hispanic not meet the required mark, all the school had to do was show that group improved marginally the next year. It became okay that they failed, so long as they just failed a little less. I have sat through presentations where our principal broke down exactly how many kids had to pass to make AYP, and it was shocking how few. Schools even went so far as to cater to kids who fit into more than one subgroup population (African-American and special education, or low-income and Hispanic) and make sure that they had priority for any special extra help classes. However, schools in high poverty areas were hit the hardest. They were threatened by state takeovers. Administrators were afraid to lose their jobs, which too often came with lucrative opportunities for easy corruption. Inner city children have been suffering in schools dominated by test preparation for years. Sure the PARCC test takes it to a new level, but the damaging effects of high stakes testing have a long track record in this country. Where was this movement in 2001, 2005, 2008? One teacher reached out to me and asked me to write about the kids whose parents have no idea that they can refuse the test. In her diverse elementary class, the kids refusing come from affluent, educated families.The kids in her class from families with low socioeconomic status, uneducated parents, or recent immigrants are left to suffer through the test, while the other half of the class gets to go hang out in the library and read books. The worst part is that the teacher feels pressure not to encourage test refusal, so when the test begins she will have to bite her tongue and watch her lowest performing students suffer through a test that many believe has been proven developmentally inappropriate. So while we celebrate the success of this grassroots movement, we should remember those children who must suffer through this test not because their parents chose for them to take it or because their teacher thinks it is a good idea. They will do so because their parents are uninformed or misinformed, and once again they will be left behind.